Happy Sunday, hope everyone had a lovely weekend. The weather finally warmed up this Sunday and it was nice to head out without a large, heavy jacket. Sunny days like this are best spent outside to get the most out of these sporadic days of warmer weather. The jacket I am wearing was actually purchased last year from H&M. 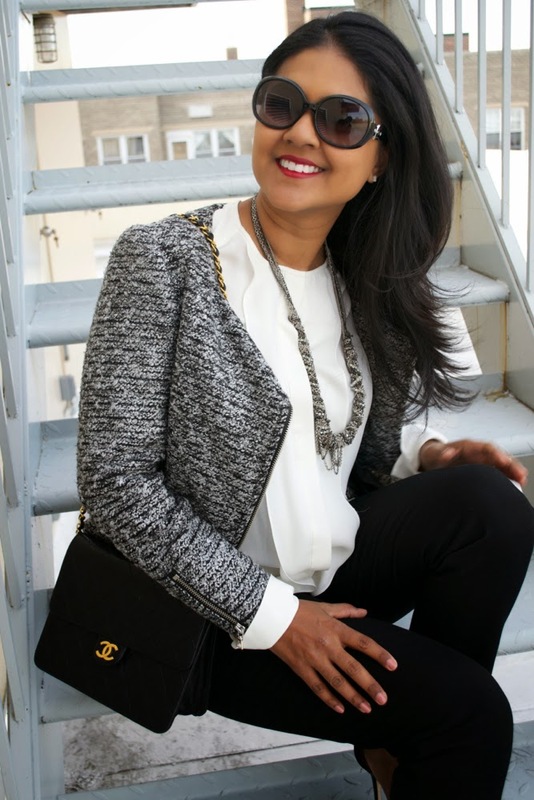 It is such a feminine jacket and goes well with this classic white blouse from Theory. At one point, I barely owned any white blouses and now my closet is filled with long, button down white tops. They have become a staple in my wardrobe. Also, I always have a hard time finding pants to fit well and I was able to find these at Banana Republic. They are straight and cut for petite sizing and also has a little stretch in them which adds to their great fit. I just recently found these shoes at a Club Monaco sale and they are so comfortable, love finding heels I can walk around in for a while! You can never have too many black heels! 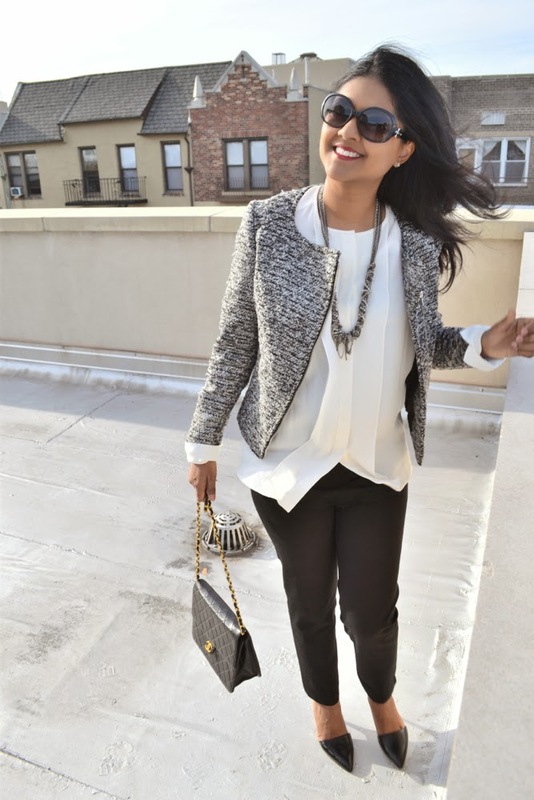 This outfit is casual enough for Sunday outings but also can easily be worn to the office.